We have scheduled the 2018 Omineca AMAZING Relay for Sunday, March 11th. Stay tuned for more details! 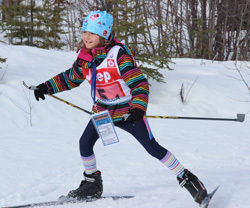 The inaugural Omineca AMAZING Relay was held on March 22nd, 2015 – a combination of skiing skills, shooting skills and then some unexpected challenges all presented in a relay format. Teams were made up of skiers from four different clubs (Omineca, Bulkley Valley, Nechako Nordics and Caledonia) and all age groups. Lots of fun hats and costumes put a new spin on the normally serious sport of biathlon. 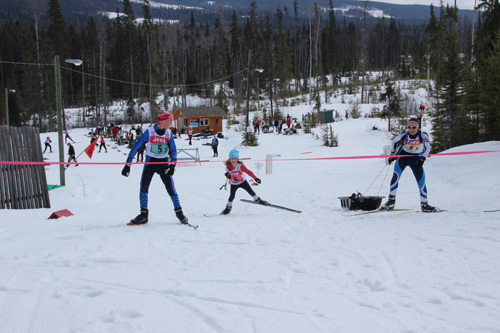 The Omineca AMAZING Relay is a unique homegrown biathlon event . You won’t see this anywhere else! !